There were approximately 50+ senior citizens in attendance. 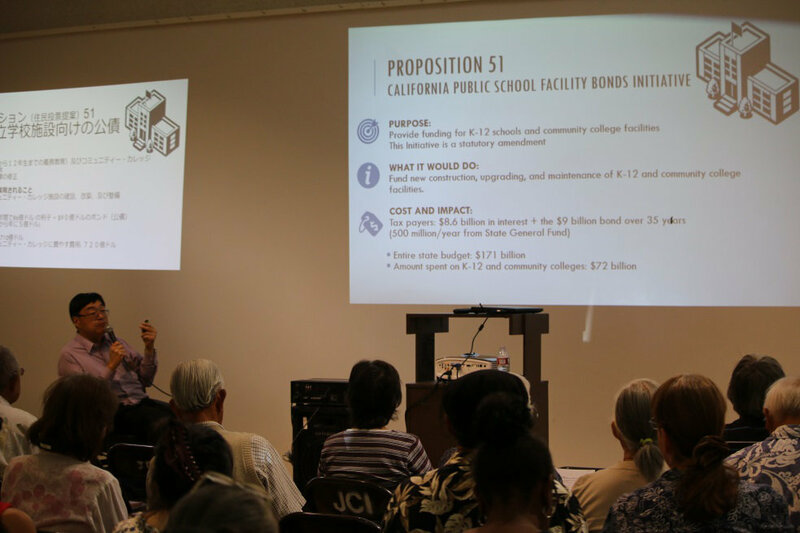 The workshop featured a presentation led by CAUSE Board Chair Charlie Woo about several upcoming state ballot measures. The presentation was conducted with simultaneous Japanese and Korean translation, as well as culturally competent, multilingual assistance for voter registration. After the presentation, senior citizens stayed engaged and discussed among each other during the Q&A session. They debated briefly about some hot-button issues such as Proposition 58 “Non-English Languages Allowed in Public Education” and Proposition 64 “Marijuana Legalization”.